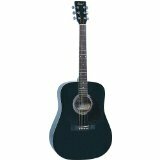 The famous Vintage V300 range of acoustic guitars regularly win awards for quality and price. 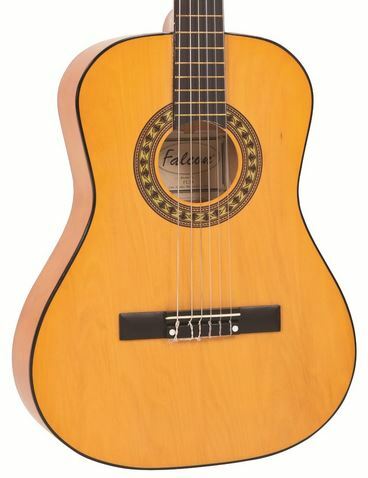 The V300 guitars, which are available in Natural, Black and Sunburst as well as this rich Mahogany, won The Fuitar Magazine’s recent award for Best Acoustic Guitar Under £1,000 – so you know you’re getting the best. 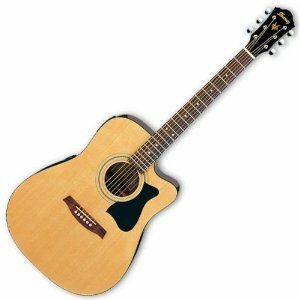 The V300’s are known for their extremely comfortable neck – which allows for fast and delicate playing – as well as the rich tones and well-balanced sound. 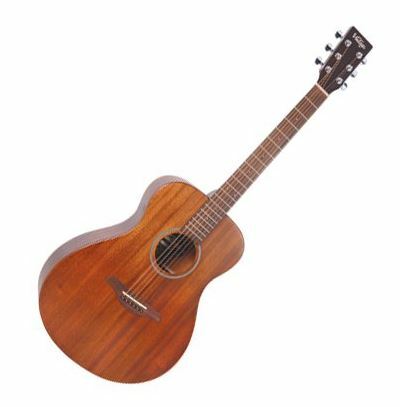 The Mahogany V300 by Vintage is therefore a great all-rounder for someone looking for a quality acoustic guitar which looks and feels amazing. 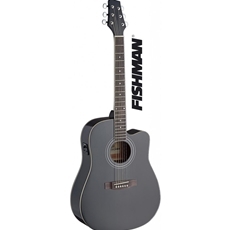 As the guitar body is slightly smaller than traditional ‘dreadnought’-style acoustic guitars, it is also suitable for youngsters and beginners.